Welcome to Random Harvest Country Cottages. 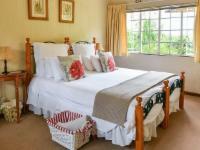 Honeydew is less than 5 minutes away Our Accommodation in Muldersdrift is 30 minutes from Pretoria or Johannesburg. 3 km from N14 / M5 (Beyers Naude Dr) junction. We offer onsite catered Meeting and Conference facility for up to 30 people. For international tourists searching for South African getaways, make sure your accommodation finder books with us to give you the best start to your African Safari. Forget Hotels in Johannesburg and rather enjoy our B&B Honeydew‘s unique offering. South Africans too, can appreciate the great hospitality that makes your overnight accommodation feel like home away from home. Clean and comfortable and the staff are very friendly - but the photos must have been taken many years ago. Random Harvest is truly an amazing place, especially for a break away from busy city life - I always find peace there and enjoy the beautiful surroundings. Highly recommended for those seeking similar experience. Safe, secure and clean cottage. It was perfect for my stay while attending a weeks course in the area. Beautiful and peaceful surroundings. I started each day with a full breakfast in the garden, with excellent service. The rusks are the best!! I have one word to describe it "awesome" the staff are so friendly and helpful. We stayed in sweet thorn and it was clean and very neat. Well done Random Harvest, you will see me again and I will recommend you to anybody. Random Harvest Country Cottages is 4.9km from the centre of Muldersdrift , the nearest airport 11.2km (Lanseria International Airport).